Home / Uncategorized / Hospitality professionals need to know! What do dress codes really mean? Black tie optional? Business casual? Smart casual? Your business and social life will continue to offer a variety of exciting occasions. On one hand, you may receive an invitation to the wedding of your General Manager’s daughter. There you are, wondering what “Black tie optional” means. Or, you may be puzzling over the difference between “business casual” and “business appropriate.” Cracking the business and social dress code isn’t all that difficult. Just review the few basic terms, definitions and suggestions found below. White Tie: If your invitation has the words “White tie” printed on its lower right­hand corner, you have been invited to an ultra-formal ball, opera or even a diplomatic affair. Men generally rent the required black tailcoat, white vest and white tie. Women wear floor­-length gowns, gloves and their best jewelry. Black Tie: You may receive an invitation that has the words “Black tie” printed on its lower right-­hand corner. This means that men wear a tuxedo and women wear either a floor length dress or a cocktail dress, fine looking evening suit or a fancy trouser outfit. Corsage: A corsage is a small arrangement of flowers given to a lady as a gift to mark an important occasion. At a Black tie wedding, the mothers of the bride and groom along with a few special relatives and friends traditionally receive corsages. The corsage is worn at formal affairs on a woman’s left wrist or pinned to her dress either on her left upper chest or at the waist. A woman may pin a corsage onto her evening bag to avoid a pin mark on her cocktail dress or formal gown. Corsages are a traditional gift to high school prom dates. The corsage dates back to medieval times when most people did not bathe regularly. Flowers were worn to mask unpleasant odors. Today the corsage is a lovely decoration. Black Tie Optional: The female guest will dress in the same manner as she would for a “Black tie” affair. It’s up to the male guest to decide if he will wear a tuxedo or not. A man may choose not to wear a tuxedo. If that’s the case, he’ll want to invest in one very good, well­-tailored dark suit. He will wear this suit to the affair with a white shirt and conservative tie. Traditionally, this one investment suit is black. But, etiquette does evolve. Other options are impeccably tailored suits in dark navy or charcoal. Tuxedo Tutorial: Never wear a tuxedo to a function that is scheduled before six o’clock p.m. Tuxedos are worn with a white formal shirt, a black bow tie and a cummerbund that fits around the waist. The classic shirt may be either plain or pleated. Do not wear a shirt that has ruffles on it. This would not only seem in bad taste but will place your fashion sense firmly in the 1970s. Studs & Cuff Links: The gentleman wears matching studs and cuff links with his tuxedo shirt. Studs are made like tiny cuff links. They have a small bar in back that goes through an open button hole and holds the stud in place; the stud holds the shirt closed. A tuxedo shirt has a regular button at the top and another regular button at the bottom. There are four buttonless buttonholes in between. This is where the decorative studs go. Footwear: The man wears black patent pumps or black patent laced oxfords with lightweight black tuxedo socks. Make sure the socks fit over the calf. Some men like to wear a cummerbund and a tie that are made in a bright color or a more modern fabric such as silk or velvet. A cummerbund is a broad waist sash. It is usually horizontally pleated. Tuxedo vests are another fashionable option. Boutonnière: If you are a groomsman in a formal wedding party, you will be given a boutonnière to wear. You pronounce this “boot­n­eer.” This is a single flower or bud that is pinned onto the left lapel of your tuxedo. Boutonnière is French; it means buttonhole. The British still call this floral decoration a “buttonhole” because the flower was pushed through a lapel buttonhole that had a special stem loop sewn onto the back of the lapel. Today, most tuxedos are not designed with the original lapel stem loop. To Rent or to Purchase: Tuxedos can be rented or purchased, as can the shoes. 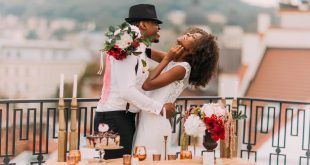 If your brand and/or lifestyle does not demand that you attend a large number of formal affairs, then confidently rent up-­to­-date tuxedos as you need them. Many men who do attend a fair number of these events prefer to purchase their own comfortable shoes while continuing to rent their tuxedos. 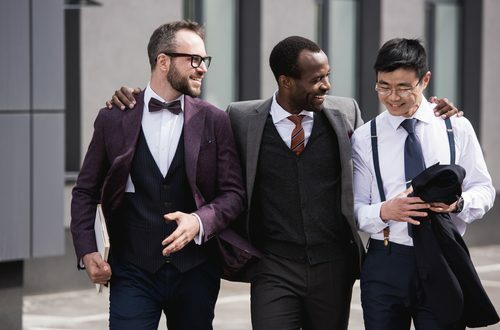 Cocktail Attire: Also known as, “After five,” this dress code means that gentlemen wear a dark suit and a smart tie, generally with a white shirt for a classic look. Ladies wear short, elegant dresses. Very stylish evening pants or skirts and chic, dressy tops are also appropriate for women. In the past, this dress option was known as “Semi-­formal.” Please think about whom you will be meeting at this party when you are considering exactly how short your cocktail dress or skirt will be. If the cocktail party is strictly a business affair which you are attending right after work, then both men and women will attend in “Corporate dress” which is discussed below. Corporate Dress: Corporate dress means that men wear a suit and tie, generally with a white shirt. Depending on the formality of your property, optional shirt colors may include light blue and pale pink. Women wear suits as well. Corporate dress is the most formal business dress code and is the standard for trust companies, investment banks and most law firms. For men, if your suit has three buttons, always make sure that the top two are buttoned when standing and if the suit has two buttons, make sure the top button is buttoned when standing. Your tie should be long enough to reach your belt. A professional tie will be solid in color or have a stripe or small pattern on it. Business Casual: This code is more relaxed, and jackets are not necessary for men or women. However, a shirt (not a tee shirt) or sweater is compulsory. Mix a traditional business item with something more casual. You need to be dressed in a way that you never feel uncomfortable if you should run into the CEO or a client. In hospitality, this code is not the norm; but, it can be found at a very casual property or dining establishment or at a property located in the tropics. Casual: The days of dot­-com, tie­-dyed casual are over. Generally in business, casual at work means no tee shirts without a jacket and no tee shirts with logos or sayings written across the front. In the hospitality arena specifically, it’s no tee shirts at work unless this item of clothing is a part of your spa, gym, or outdoor uniform. No item of clothing can be cut, faded, ripped or hanging. Jeans and a jacket are also acceptable, but this type of casual is better left for going out to dinner with friends. In all but the most low-­key and/or tropical hospitality settings, this code is close to non­-existent. Smart Casual: Also called elegant casual and casual chic. 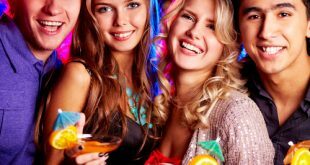 This code is best for informal cocktail parties in hotels and private homes and dining in very good restaurants. Men wear a jacket and shirt, no tie. Women wear casual but elegant dresses or smart pants and tops or other chic outfits. There are some resorts in very tropical locations where managers have adopted this dress code. Business Appropriate: This is the dress code that you will be shooting for if your position does not require a uniform. This code is about dressing appropriately for your position, what you do every day, whom you meet and more importantly, whom you may meet. For men and women, this code begins with the knowledge that a jacket is mandatory. Depending on your brand and your position, a suit may be necessary as well. If a suit is not necessary, men wear a sports jacket with a tie and women wear their jackets over a dress or tailored trousers. Some brands may require heels, and some still require hose for women’s business-appropriate attire. Open-­toed shoes may not be a part of your business dress code. Check your brand’s dress code policy for appropriateness. When out and about, you are representing both yourself and your brand. Keep in mind that people will notice both your professional and personal behavior, especially at business and social receptions. Follow these simple guidelines and you will always appear polished and competent in business and social manners. Previous Hospitality Professionals – Your accessories can make you more successful!!! 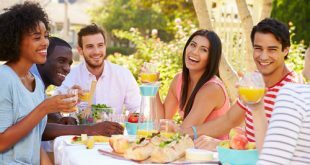 Next Hospitality Professionals – Do You Respect Your Guest’s Personal Space?